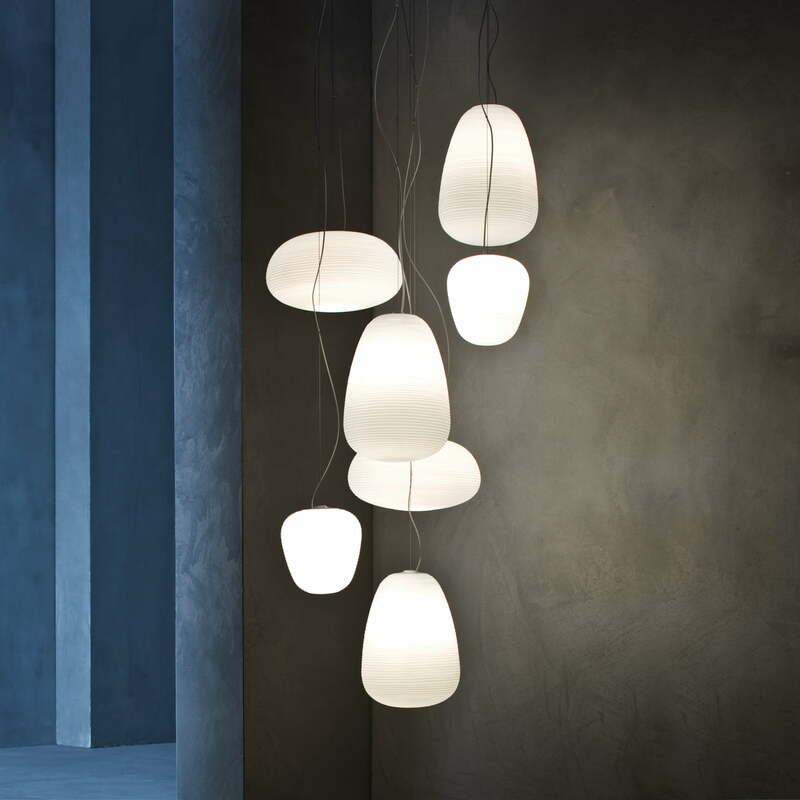 The Rituals pendant lamp, which was created by the architects and designers Ludovica + Roberto Palomba for Foscarini, impresses above all with its plasticity. The lamps playfully straddle the boundary between west and east. 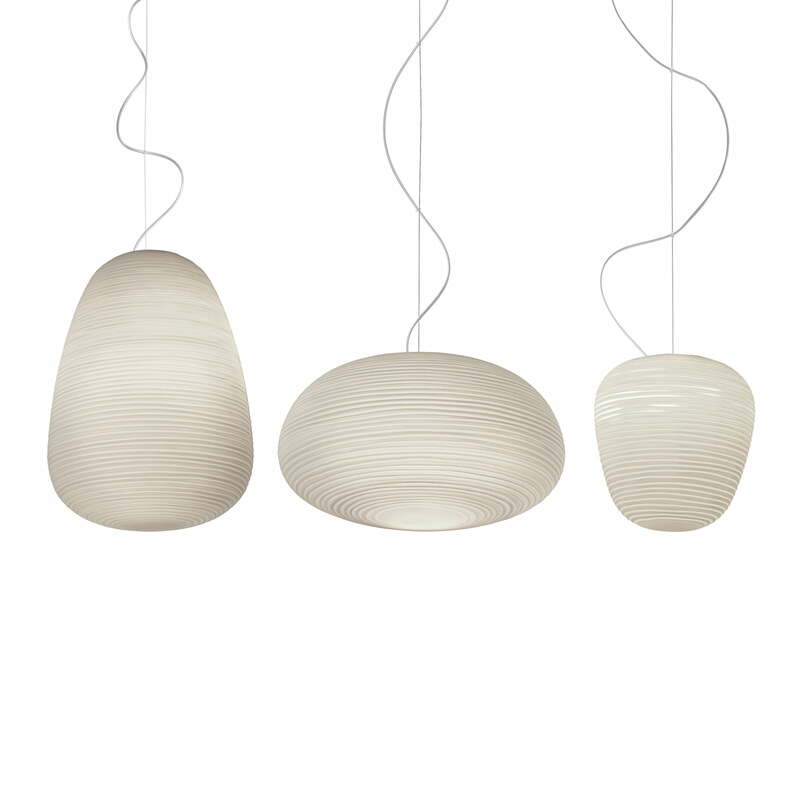 The challenge was to carry over the weightlessness of Washi paper from oriental lanterns to a group of glass lamps. 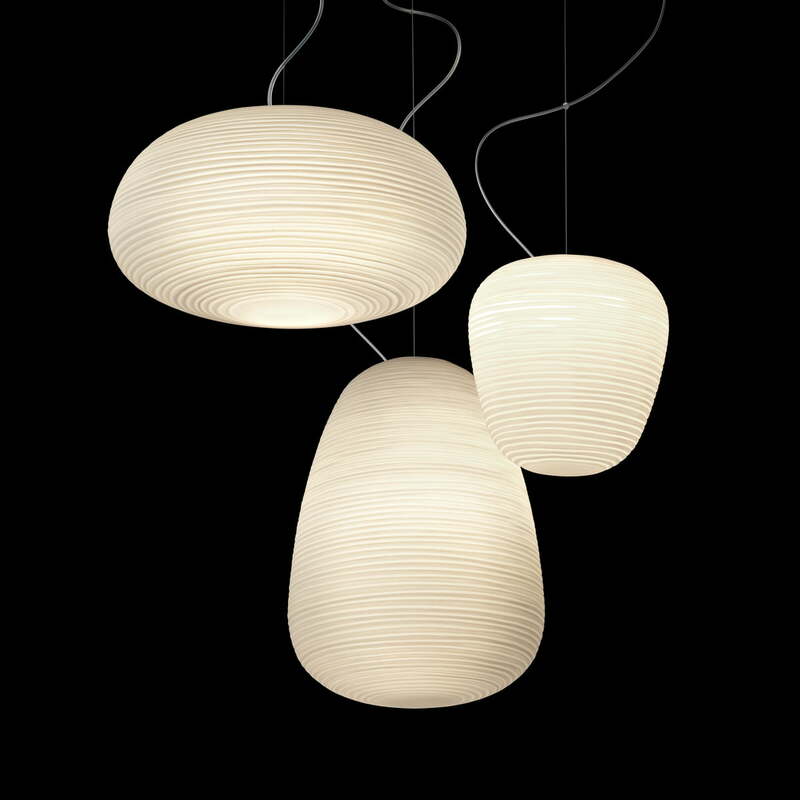 The Foscarini Rituals gets its exceptional style from special technology used during manufacturing: the glass isn’t turned in the cast when being blown (‘a fermo’ or stationary technique). Instead, the special striped look is gained through a special cast with negative decoration, which repeats itself on the surface. Afterwards the glass is filed by hand and plunged into an acid bath, giving it a plaster-like effect. With its diffuse light, the Rituals pendant lamp is suitable for various spaces and reinterprets the magic of rice paper or the bark of a mulberry tree - the raw materials for Japanese lanterns - by using blown and satinised glass in a tangible and luxurious way. Horizontal lines running through the surface of the lamp create a soft and fascinating decoration that also help lessen the intensity of the light source while spreading full, warm and soft light. With its paper-like body made from blown glass, the Rituals pendant lamp can be used by itself or with others in a harmonious arrangement. 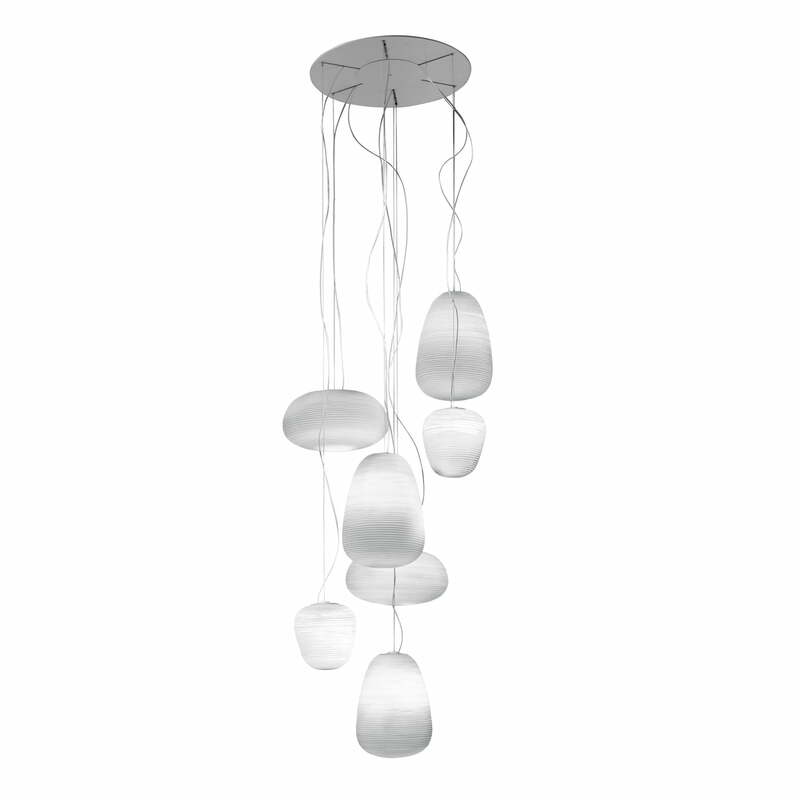 The Foscarini Rituals is also available as a table lamp or XL pendant lamp.